Kids might be up for trying different colored rotini. It may take a picky eater a while to try a new food, but they will likely try it eventually. Studies have shown that a new food has to be presented to a picky child at least ten times before they will try it. Getting kids to try new foods can feel like pulling teeth. 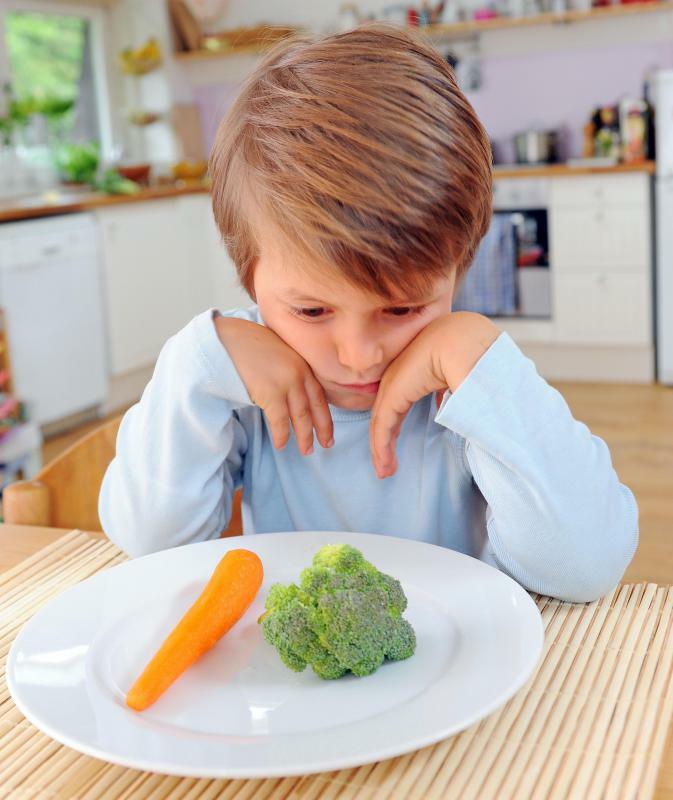 It seems some children want to eat the same foods day after day. 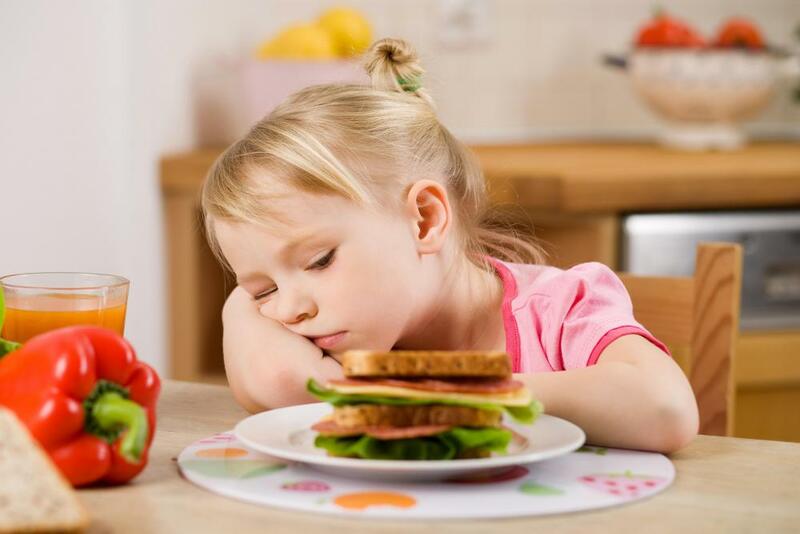 Children who don't like to try new foods are referred to as finicky or picky eaters. The truth is that they are just kids. Many adults like variety but children, however, are actually happy eating the same foods. Here are some fun food ideas to get children to try new foods. Children want to fully experience everything, including their food. Feed your kids finger foods as often as possible. A child is more willing to try new foods if they can play with it while they eat it. String cheese is a fun way for children to experiment with cheese, as they can pull it apart into little strings and pop them in their mouth. If you are adventurous, plan a meal where the whole family eats with their hands. Allow your child to help make his meals. A child takes pride in what he does and is more likely to try new foods he has made himself. For example, if you are making a salad, let him tear the lettuce. If you are preparing macaroni, he can stir in the cheese. There are many things children can do to help in the kitchen without, of course, touching the stove or knives. Kids love bright colors. Make your meals as colorful as you can. Besides being more appealing, different colors of vegetables actually have different health benefits. Dark green, leafy vegetables contain large amounts of iron, while orange vegetables contain vitamin C. Toss a little color into the meal, even if you wouldn't normally combine the foods. Get creative when you prepare your kids meals. 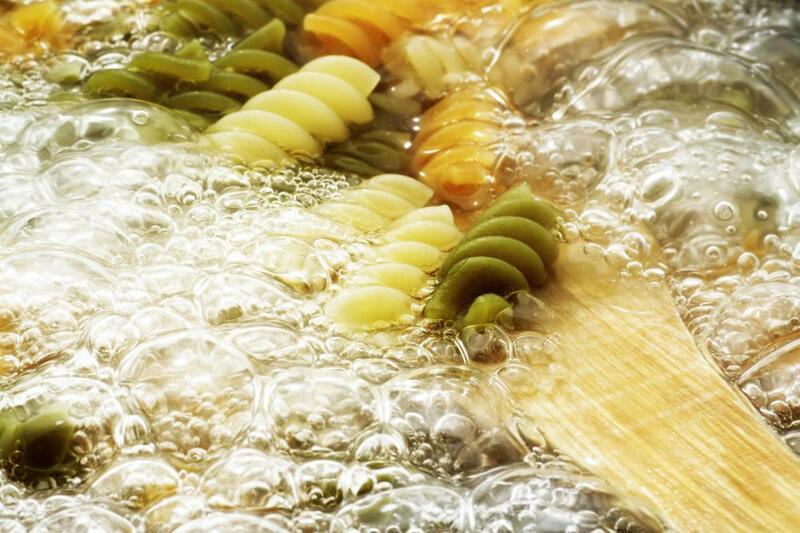 If your child won't eat spaghetti, try making it with wagon wheel noodles or tri-colored rotini noodles. Prepare your pancakes in the shape of Mickey Mouse or any other favorite character. Serve dinosaur shaped chicken nuggets instead of the basic round ones if he won't eat them. The key is to draw attention to the refused food. If, after trying the above, your child still won't try new foods, don't fret. Studies have shown that a new food has to be presented to a picky child at least ten times before she will try it. Even if she won't eat, it you should still put it on her plate. One of these days it just might make it to her mouth. How Do I Make a Kids' Meal Plan? What Is Chicken and Noodle Stir-Fry? I personally think the best trick is to get the kids to prepare the meal themselves. My nephew was quite picky about his breakfasts. He only ever wanted eggs, which was a bit of a pain when the rest of the family was having porridge. Instead of fighting it, I got him to help me make the porridge. He was delighted with the job of carefully measuring out the oats and water, although he was a bit too young to be helping with the stove. We then garnished the bowls with banana and cinnamon and milk and he was all too happy to proudly take his bowl to the table and finish it. cousin who was infamous for refusing to eat anything except french fries when he traveled overseas. His father reckoned that he was simply overly cautious about the unfamiliar surroundings and didn't trust the food. Frankly, I think he just really like french fries. @croydon - What I like about bento is that they put a lot of emphasis on health, so even though you might think with all the colors and things that they must be loaded with dyes, everything has to be made in a natural way. They boil purple cabbage to make pink rice for example (which probably adds to the nutritional qualities of the rice, rather than taking anything away!). It's a good idea not to get too carried away though, if you want to go into this. Remember your kids may not used to Japanese foods and flavors, so if you present them with a beautiful creation made from rice and seaweed, you might not get the reaction you were hoping for. If you want some good examples of different fun things you can do with food, you should look up bento box recipes. This is the art of creating little mini sculptures for lunch boxes using healthy foods. It comes from Japan, where I've heard that the kids sometimes even judge each other based on how much trouble their mother went to with her bento box creations. If you have a look at pictures of them online you'll see they can be very intricate. In fact, if I was a kid and was presented with one of these for lunch it might have the opposite effect intended. I think I might not want to eat something so pretty.